For most people a toned, lean and cut physique is high up on their list of fitness goals. If we’re spending a lot of time in the gym… we want to look like we’re spending a lot of time the gym. Sadly, if you’re like most people, pretty much everything you thought you knew about getting toned is probably not true. Looking for the secret of how to get a hot body fast? 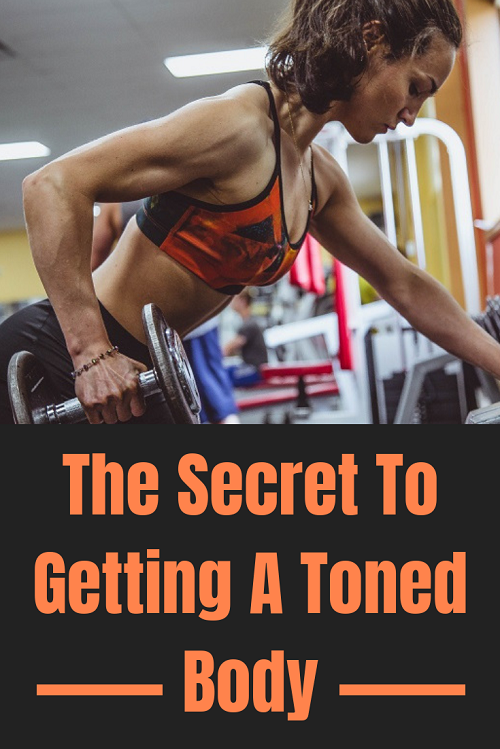 Read on and discover what ‘getting toned’ really means and learn the two essential steps you should actually be focusing on if you want to start seeing results. 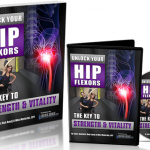 Have you been spending hours doing body toning exercises and workouts you found on YouTube or popular fitness websites… without any noticeable results? You cannot tone a muscle! As hard as you try… you can’t do it. You can’t tone it and you can’t shape it. The shape of your muscles is determined by genetics. When most people talk about getting toned, what they really want is for their muscles to become more defined. Where that lean, toned look really comes from, is having muscle built up (or at least maintaining existing muscle mass) and then stripping off enough fat so that muscle actually shows. So, how do you achieve that lean, sculpted physique? First of all… stop doing hours and hours of cardio trying to get toned, because that’s NOT going to happen. By relying solely on cardio you’ll most likely end up looking exactly like you look right now… only a smaller version of that. You’re not going to look toned and you’re not going to look cut! Not exactly worth the time and effort you put into it… right? The best way to do this is to focus on a combination of nutrition and resistance training. The most effective way to get rid of unwanted fat is through nutrition. You need to create a calorie deficit by consuming less calories than you burn. 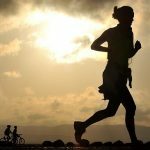 As this article explains, it’s much easier to create a caloric deficit and start burning more fat by eating less calories than it is by burning more. One of the easiest and healthiest ways to reduce your calorie intake is by replacing processed foods with natural foods like fruit and veggies. 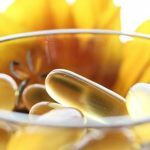 This has the added benefit that it provides your body with a ton of healthy nutrients. If you drink a lot of soda, fruit juice or energy drinks then consider switching (some of) them with water. By reducing your calorie intake you won’t just be losing fat… you’ll be losing muscle as well! Yes, it doesn’t matter whether you are male or female, you have to do some sort of resistance training if you want that shapely, tight, toned look… whether it’s lifting weights or doing bodyweight exercises. If you want to tone up fast then doing long hours of steady state cardio is not going to get you there. Even a male who eats more, lifts a lot heavier, uses supplements and has a lot more testosterone has to work hard to put on some extra pounds of muscle. Most women won’t ven come close to being bulky through weight training… even if they wanted to. Becky is a great example of what actually happens when women start strength training the right way. Not only was she able to completely transform her body but, in her fifties, she is leaner and fitter than most women half her age. Many people -especially women – are doing hours upon hours of cardio, day in and day out hoping this will help them tone up. They are working hard and sure, they expending calories, but they’re just not seeing the result they are looking for. This is because steady state cardio or doing lots of reps with very light weights does nothing to build or even maintain muscle mass… especially when your eating at a caloric deficit. We already saw that, by eating less calories than you burn, you’ll be losing both fat and muscle. We also saw that muscle definition is what actually give you that toned look. Resistance training is the only way to maintain muscle while losing fat! So, don’t be afraid of lifting weights! And we don’t mean those silly 1 pound dumbbells you see some people swinging around… those are a complete joke. We mean actual weights, ones that provide real resistance! Doing hundreds of reps with puny weights is going to have the same kind of body toning effect as long hours of steady state cardio… namely nothing. Steve Holman (Old School New Body) recommends picking a weight with which you can manage about 15 reps and then doing sets of 10 reps but doing them in a specific way. 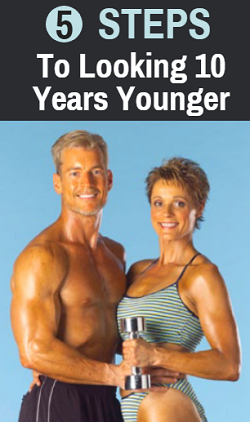 As he explains in step 5 of his 5 Steps to Looking 10 Years Younger article, by exercising the right way you can actually work out a lot less and still get much better results much faster than spending hours per week on the treadmill. In his F4X system Steve teaches a method of moderate weight/high fatigue resistance training that not only builds muscle but burns a ton of calories at the same time. Remember, to get toned you need to burn fat and build muscle. So, why not do both at the same time? As a matter of fact, one of my favorite workout methods uses only high intensity bodyweight toning exercises. The great thing about using your body weight for resistance training is that you can do them anywhere. You cannot ‘tone’ a muscle. What’s actually meant by toning is getting rid of fat so that the muscles beneath become more defined. To get toned, whether you are male or female, you should focus on resistance training to build/maintain muscle mass, combined with creating a calorie deficit to get rid of the fat covering that muscle. Don’t be scared to lift weights! It’s only going to give you a better looking physique over time and it’s the only way to prevent losing muscle mass while your getting rid of unwanted body fat. A Toned Body In 90 Minutes Per Week?